Details of this Freeview HD Recorder with online TV service, wi-fi connectivity, export to USB and more. Released in the second half of 2010, this is a high-spec Freeview HD recorder that also offers on-demand content over the Internet. Pause, rewind and record live television, with Series Link. Share photos, music and video from your PC to your TV. The Technika SmartBox 8320 was last seen at Tesco Direct for £150 . Alternatives? We’d recommend YouView from BT as a great alternative to Fetch TV. What does the Smartbox 8320 Offer? The Technika SmartBox 8320 has a 320GB hard drive for recording Freeview content in standard definition or high definition. Provided you’re in a Freeview HD coverage area, you can watch BBC One HD, BBC Two HD, ITV 1 HD and Channel 4 HD – all without subscription. The box can also upscale standard definition Freeview for improved picture quality, supports digital audio and has two recorders to allow you to watch one channel while recording another. There is an 8 day one screen programme guide, as well as, an online TV guide with remote recording capability to set recordings on your SmartBox when you are on the go. There’s also an iPhone app to enable you to set a recording over the Internet. Thanks to this free app, you can use an iPhone, iPad or iPod Touch to set up recordings remotely on a Smartbox 8320. 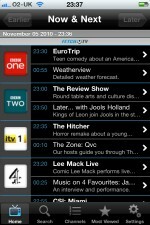 The app provides access to programme listings for Freeview, and allows you to select a show for recording. The request is sent over the Internet to add an upcoming programme to your box’s Programme Guide. The app makes for a handy, searchable Freeview listings guide, with the advantage of being able to pick an interesting show for advance recording. The Smartbox 8320 has two USB ports that let you export and store TV programmes on an external drive. The Technika SmartBox 8320HD has a built in Media Centre that can be used to watch photos and video, plus listen to music, streamed from your PC to your TV. 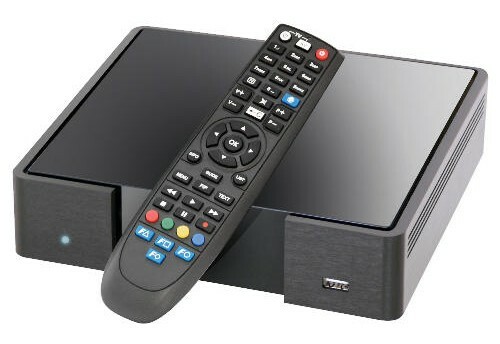 The Technika SmartBox 8320 connects to the Internet either using wi-fi or an Ethernet cable, and gives you access to the Fetch TV service. Supplied with: HDMI lead, remote control, 2xAAA batteries, power supply, DIN-to-SCART adapter, RF aerial cable.